My name is Joseph Agius and I started this site. Our family tree is posted online on this site! There are 1541 names in our family site. The site was last updated on Jan 31 2019, and it currently has 46 registered member(s). If you wish to become a member too, please click here. Enjoy! Mary Lynne Agius updated her profile. geoffrey agius submitted a request to become a member. David Hughes updated the details of David Charles Hughes in family tree Agius Family Tree. Joseph Agius invited Trevor Crosby to the site. Joseph Agius invited Arlo McGowan to the site. Andrew Leonard Agius updated the details of <Private> Galea (born Busuttil) , <Private> Galea , <Private> Galea and <Private> Galea in family tree Agius Family Tree. Vincent Busuttil updated the details of <Private> Busuttil in family tree Agius Family Tree. Andrew Farrugia updated the details of <Private> Baldaccino (born Farrugia) and <Private> Farrugia (born Mizzi) in family tree Agius Family Tree. Joseph Agius invited James Bird to the site. Joseph Agius invited Howard098 to the site. Joseph Agius invited Jillian Garbars to the site. 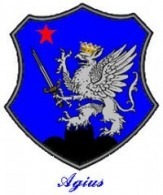 None updated the details of <Private> Axiak in family tree Agius Family Tree. Vincent Busuttil played the Family Card Game. Joseph Agius updated the details of <Private> Agius in family tree Agius Family Tree.